A prologue is an introduction in a play; it may be at the beginning of the play, or it may appear before one or more acts of the play. It is spoken by unnamed character or characters called the chorus. 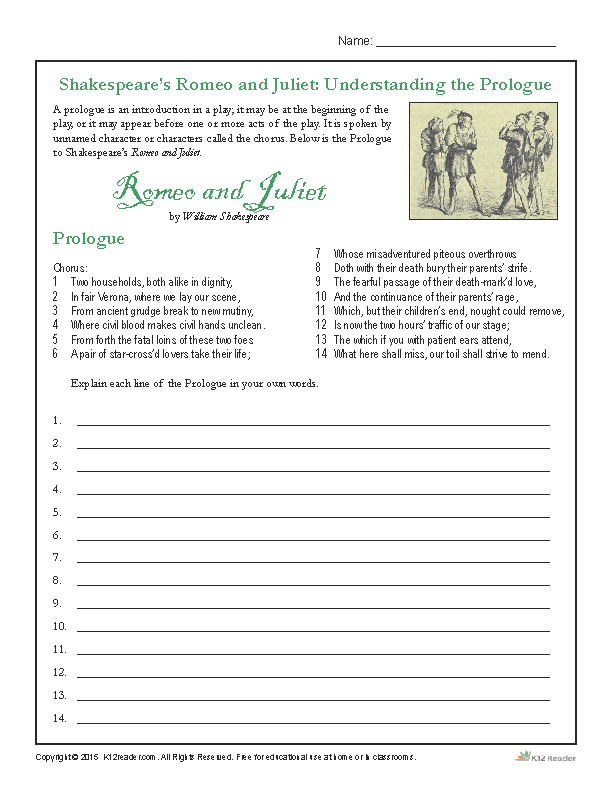 In this activity, students read the Prologue to Shakespeare’s Romeo and Juliet and answer related questions.